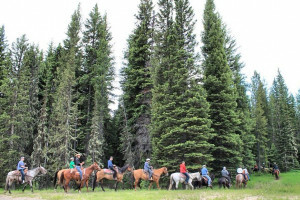 No matter what time of year you decide to visit Sun Valley ID, located just 6 hours from Big Sky, there are endless opportunities for fun and relaxation. Sun Valley ID is approximately a 6 hours drive southwest of Big Sky. The area is both a summer and winter vacation destination for anyone who enjoys outdoor activities. Visitors to Sun Valley are close to the Sawtooth National Recreation Area, accessed over Galena Summit on Highway 75, the Sawtooth Scenic Byway. The first destination winter resort in the United States, Sun Valley, was developed by W. Averell Harriman, the chairman of the Union Pacific Railroad, primarily to increase ridership on passenger trains. Today, celebrities and ski-lovers, rank Sun Valley high on their travel list. 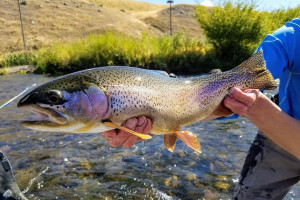 The quaint village and neighboring small towns in South Central Idaho were some of the top resort areas in the country in the 1930s, luring film stars, international jet-setters and the famed writer Ernest Hemingway, who is memorialized here. While the full-time population of the town is less than 2000, that number swells considerably with guests who travel here to stay in one of the first-class resorts and the wealthy that have sprawling holiday homes here. Tourism is the chief economic driver. 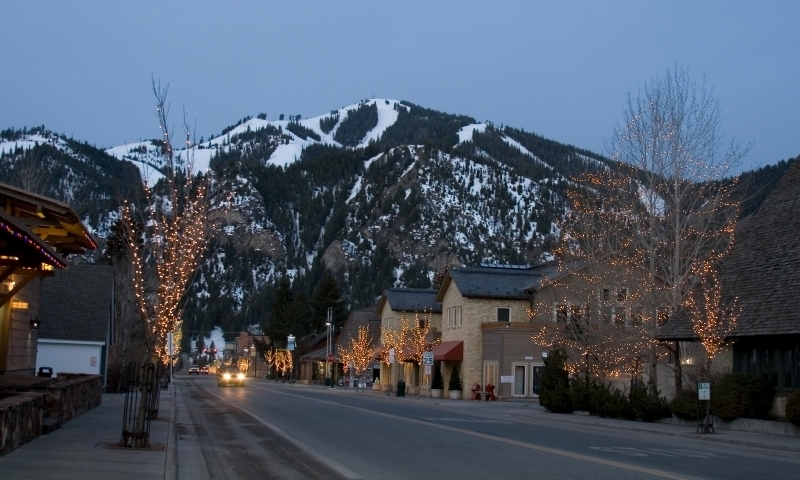 In addition to some of the best skiing in the country, Sun Valley boasts an array of nightlife, shopping and sightseeing opportunities. For visitors who want warm-weather alternatives, Sun Valley boasts first-class golf courses, hiking trails, camping and nature activities. The term "Sun Valley" is used more generally to speak of the region surrounding the city, including the neighboring city of Ketchum and the valley area winding south to Hailey. The region has been a seasonal home to the rich, famous, and powerful, including Adam West, Ernest Hemingway, Tom Hanks, Steve Miller, Demi Moore, Peter Cetera, Clint Eastwood, Bruce Willis, Ashton Kutcher, Richard Dreyfuss, and Steve Wynn. The European style ski resort, Sun Valley, was built in 1936 in the town of Ketchum, ID. The town of Sun Valley actually sits one mile east of the resort. The area is located in the central part of Idaho, in the Wood River Valley. Few of the residents stay year-round, and most come from major cities like Seattle, Los Angeles, San Francisco, and more distantly Chicago and New York City. They often have a second home in the area. Because the area is both a summer and winter destination, Sun Valley, has many choices for lodging, as well as, a variety of places to eat. Sun Valley also has a modern hospital, service stations, banks, and grocery stores. Visitors to Sun Valley are relatively close to the Sawtooth National Recreation Area, accessed over Galena Summit on Highway 75, the Sawtooth Scenic Byway - making Sun Valley a choice as a base for those who enjoy such outdoor activities as hiking, backpacking, mountain biking, etc. Among skiers, the term "Sun Valley" refers to the alpine ski area, which consists of Bald Mountain, the main ski mountain, and Dollar Mountain, which is geared toward novice and lower intermediate skiers. Opportunities also exist for snowshoeing, snowmobiling, and water sport during the summer in the high alpine lakes in the Stanley Basin. This regional history and culture museum located in Hailey is just a short trip from Sun Valley and Ketchum. The museum was opened in the 1960s with the mission of protecting and showcasing the people and history of the county. Exhibits include early settlers; the mining industry's role in the development of the region, notable families who helped settled the area. The memorial to the famed writer (and former area resident) in downtown Ketchum recalls Ernest Hemingway, his contributions to the arts and culture, and his life as an outdoor lover and adventure-seeker. The memorial is made from a column of rocks and a plaque that features the inspiring words of the man. The history and culture of South Central Idaho is commemorated in this museum dedicated to the storied ski history of the area. A variety of exhibits and educational materials are stored in the museum and showcase the development of skiing and outdoor sporting activities as well as the development of the region. This museum dedicated to mining features some of the actual ore wagons used in the 19th century to transport ore from the mines. For many years, mining was the core of the regional economy. The museum is fun for the entire family and offers a great way to learn more of the economic and social development of Sun Valley and the surrounding area. A lovely natural area, these regional botanical gardens are home to a range of flora both native to the region and some that are cultivated here today. The Gardens offer visitors an unparalleled opportunity to learn about and view the flowers and plants that grow in the area in a natural setting. Art lovers and other visitors to the town alike will want to participate in one of these evening excursions that highlight the creative works of local and regional artists. Tours are held at different times throughout the year and feature a sampling of the many galleries that call Sun Valley and the surrounding communities home. Undoubtedly one of the most popular spots in Sun Valley, the ice rink at the Sun Valley Lodge has drawn celebrities and travelers with children of all ages showing off their moves on ice skates. Rent a pair of skates and take to the ice or stake out a spot on the Terrace, enjoy a light snack and watch as the skaters glide by. An airport in Sun Valley provides frequent flights to major airports like Salt Lake City, Seattle, and Boise. If you are traveling to Big Sky, MT from Sun Valley, ID use ID-75 east to reach US-20. Follow US-20 to US-191 which will guide you to Big Sky in about 6 hours total. Along the way you will pass by the Craters of the Moon and Arco, ID – the first city in the world to be lighted by nuclear energy. There is also the first nuclear reactor in the area which is now a tourist attraction. Don’t forget to take some time to explore Idaho Falls which will also be on your way.